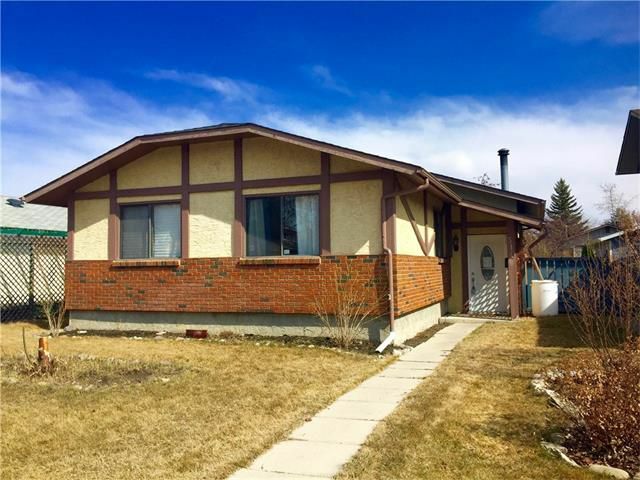 Recently updated bungalow offers new flooring throughout the main floor (2016), gorgeous tile work in both bathrooms (2011), new interior doors, and replacement of roof (2011). The kitchen is spacious and features stainless steel appliances, under cabinetry lighting, pantry, dark espresso cabinetry, and a dining room that has direct access to the back yard through french doors. Large great room has a corner, stone surround wood burning fireplace and an abundance of windows to allow natural light to shine through. 3 decently sized bedrooms with ample closet space, linen closet, broom closet, and a 4-pc bathroom complete the main floor. Fully developed basement with family room, 3 pc bath, recreation room, laundry, storage, & large sauna. Outside you will find a large deck for entertaining, mature trees, storage shed for your seasonal belongings, paved alley, and the option to build a large double car garage. Walking distance to schools, lake, shopping, & Fish Creek Park.